If you just hopped on over here from Nina’s at Everyday Enchanting, welcome! I can’t believe it, I really can’t believe it. It’s already that time of year again! 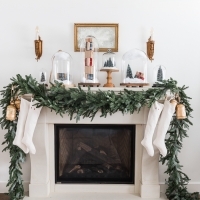 This year, because I’m in limbo (AKA in between houses), you won’t see any fancy Christmas home tours like last year but you will see some shopping guides. Oh, and this week I’ll be sharing with you photos of my new house and some of the renos I have planned for it. so be sure to drop by to enter them all. 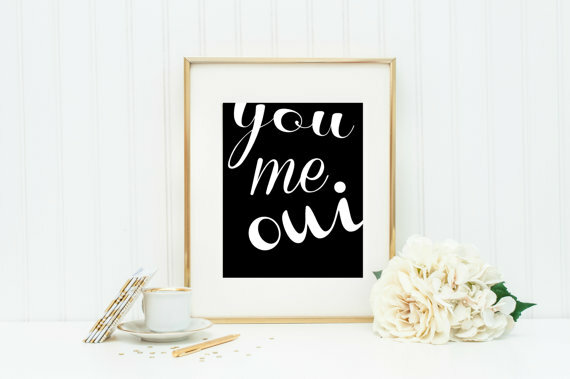 Love this You, Me, Oui print from The Sweetest Digs. I need it for my office along with Gemma’s other prints. 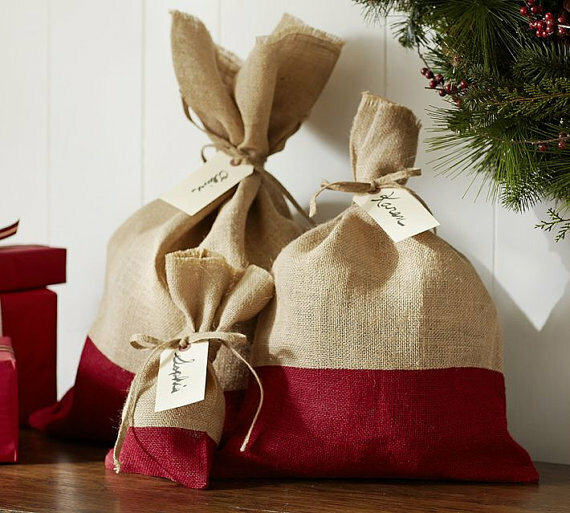 I still love burlap and these burlap Christmas gift bags from Made in Burlap are perfect for storing presents under the tree. 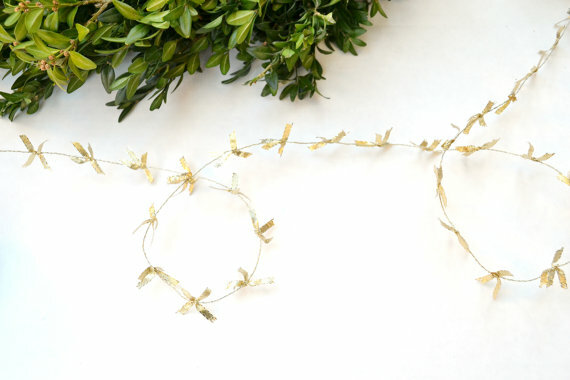 How cute is this gold foil bow ribbon from Boxwood Avenue. 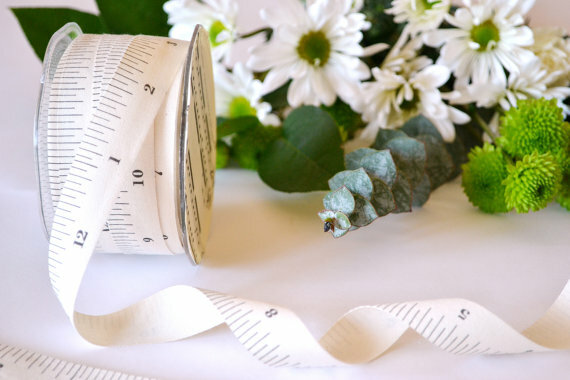 As well as this tape measure ribbon from Boxwood Avenue. 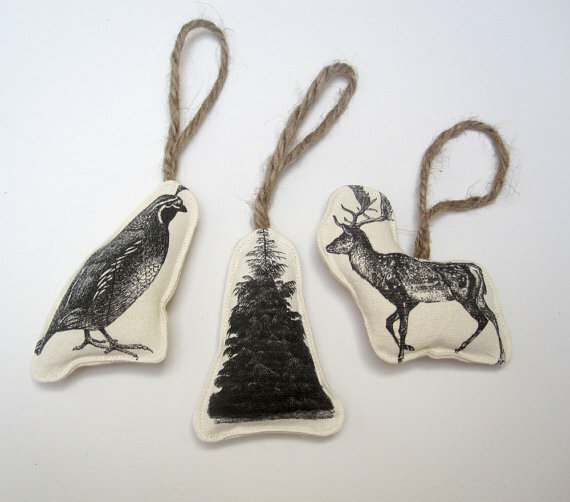 So cute for decorating Christmas gifts with or any time of the year. 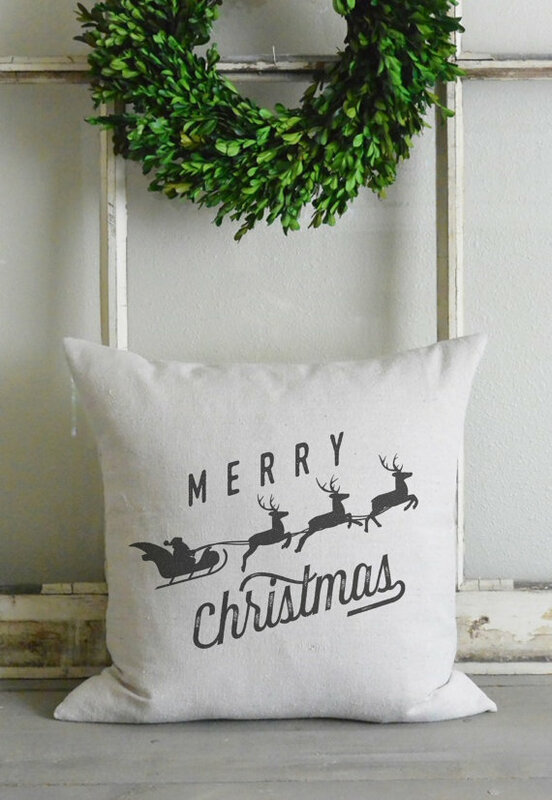 I love this ‘Merry Christmas’ pillow from Bows and Burlap Designs. And these three image ornaments from Pi’lo are perfect for my neutral tree. Oh my goodness, I want these so bad! 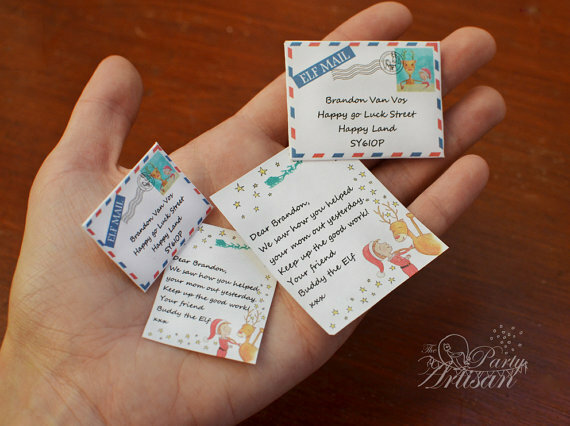 Elf letter from The Party Artisan. 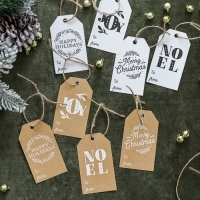 These personalized gift tags from Sweetly Scrapped are the perfect addition to a gift. And no more messy writing! 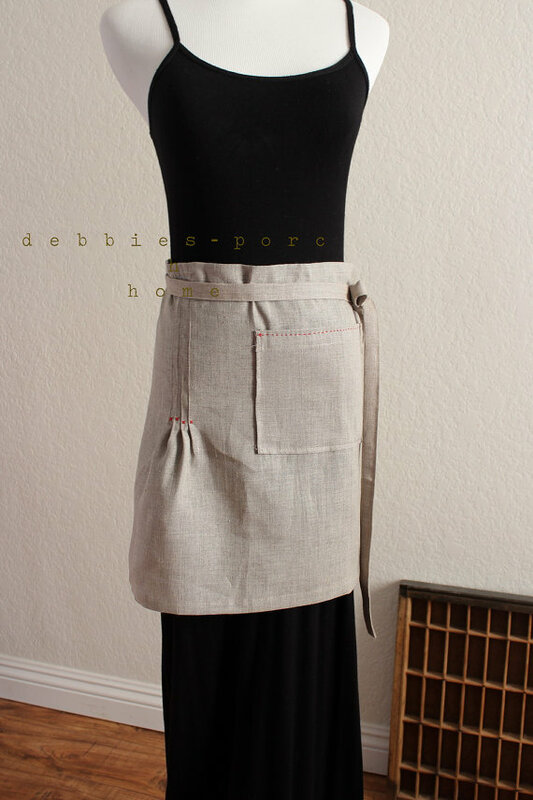 I’d look so cute cooking turkey and baking pies with this linen apron from Debbie’s Porch. 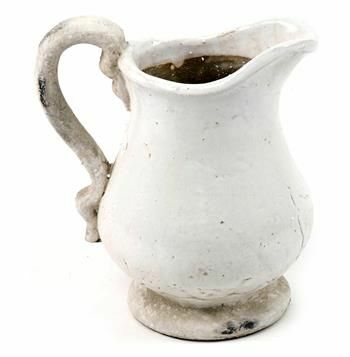 LOVE this French Country stoneware pitcher from Kathy Kuo Home. And I’ll take one of these Iron Fir Wood Round Tray from Kathy Kuo Home too thanks. 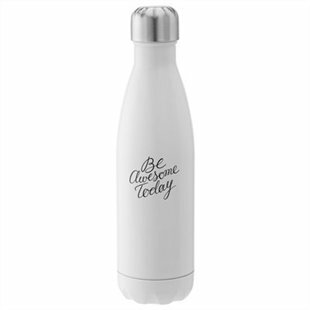 Be Awesome Today water bottle from Indigo. Adorable. 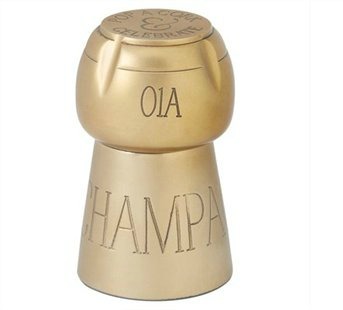 I’d use this brass champagne cork from Indigo as a paperweight in my office or on the kitchen counter for fun. Staying home is the new going out pillow from Indigo. 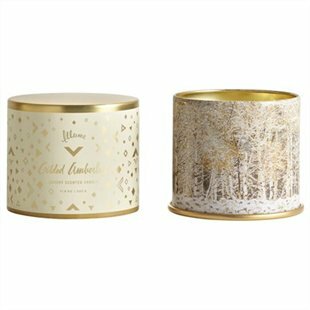 Illume tin candle from Indigo smells exactly like firewood. Perfect for this time of year! How cool is this? 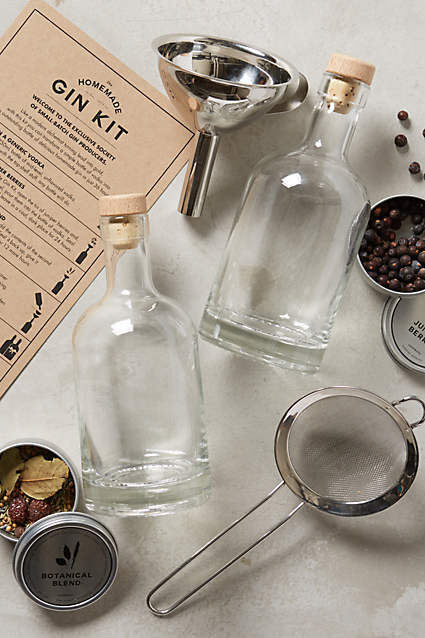 A homemade gin kit from Anthropologie. I want every one of these gorgeous baking pans and tools from Anthropologie. 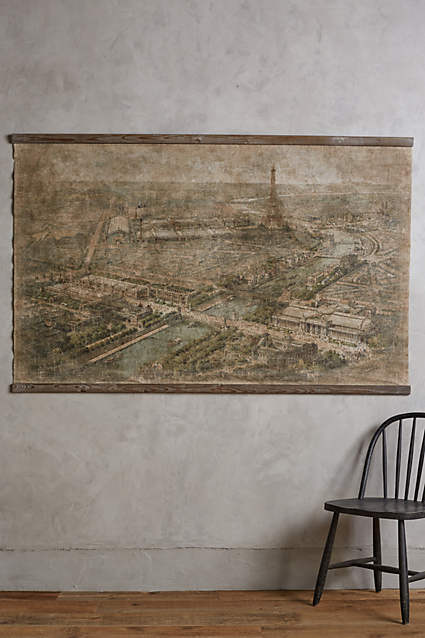 And this Paris artwork from Anthropologie would look perfect in my new house. My son would go crazy over this log cabin playhouse from Land of Nod. And my daughter would LOVE this Jenny Lind doll bed from Land of Nod. 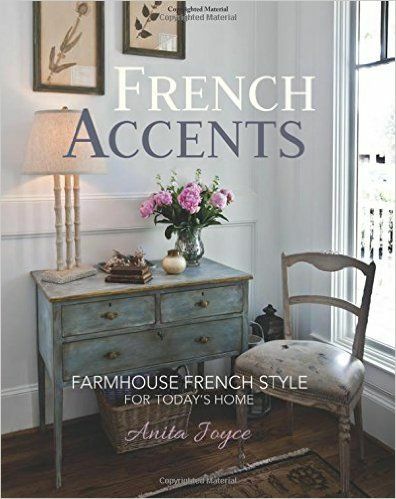 No French home is complete without this book from my blogger friend. 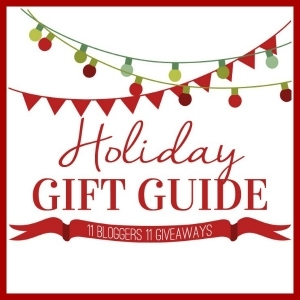 Okay, so be sure to enter the giveaway! I’m giving away a book from paint maker and artist, Amy Howard, along with one of her gorgeous brushes. I was so lucky to have the pleasure of meeting her this summer at Haven. Also, a pencil case from The Sweetest Digs and your choice of 2 prints from her shop! 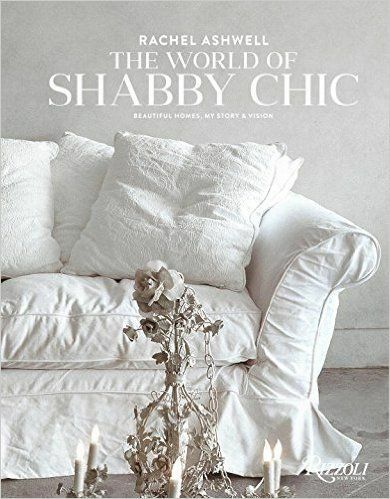 And to continue on this blog hop, make sure to pop on over to Chelsea at Making Home Base. Here’s a list of the other bloggers from today’s hop! Lindsay, The White Buffalo Styling Co. I am in love with the Staying Home is the New Going Out pillow! It explains my life to a tee! 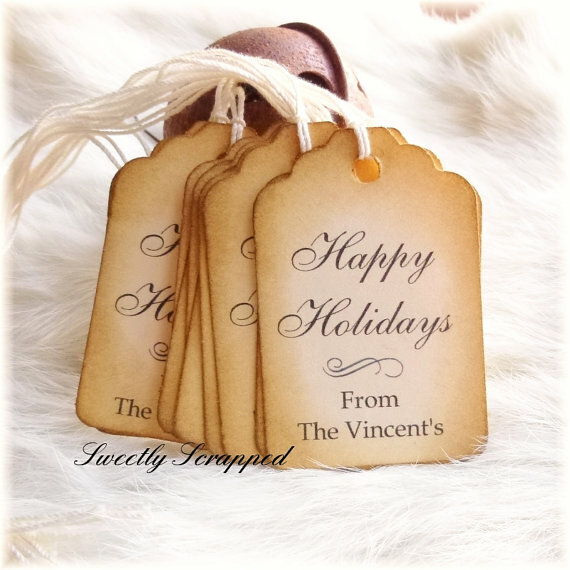 Thank you for the giveaway opportunity…love your blog and all the inspirational creative ideas…many blessings and all the energy/joy needed to make it special for you and your family! I LOVE all of your favorite things! Anthropologie tray may be at the top! Thanks for the giveaway opportunity! Happy Thanksgiving! great giveaway! how cute is that log cabin playhouse?! Would love to get my hands on Amy Howard’s book. The Jenny Lind doll bed would be perfect for my daughter! All the fit ideas are great. Right now the map of Paris speaks to me along with the staying home pillow. Enjoy the all the coming holidays. 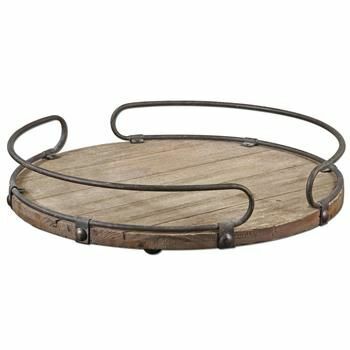 I love the lines of the Iron Fir Round Tray. Trays are so versatile, thank you for the opportunity! I love the Anthro tray and the throw. Oh I just love your list!! LOVE, LOVE, LOVE them all! I’d be thrilled to find any of these lovely gifts under the tree! Anthro bakeware are my favourite, I love to bake! Amazing list Jamie. Your have impeccable taste! Thank you for the list and giveaway. 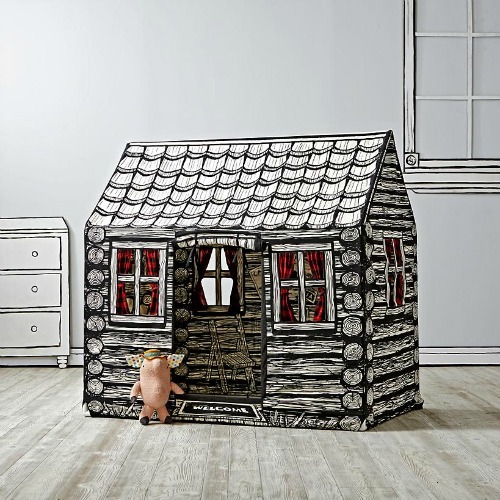 Loving the log cabin playhouse from Land of Nod. Wonderful list. I LOVE the “Everyday I’m Hustlin'” pencil bag. So many great things but I was immediately drawn to the iron wood round tray. Thanks for the opportunity – my fingers are crossed! 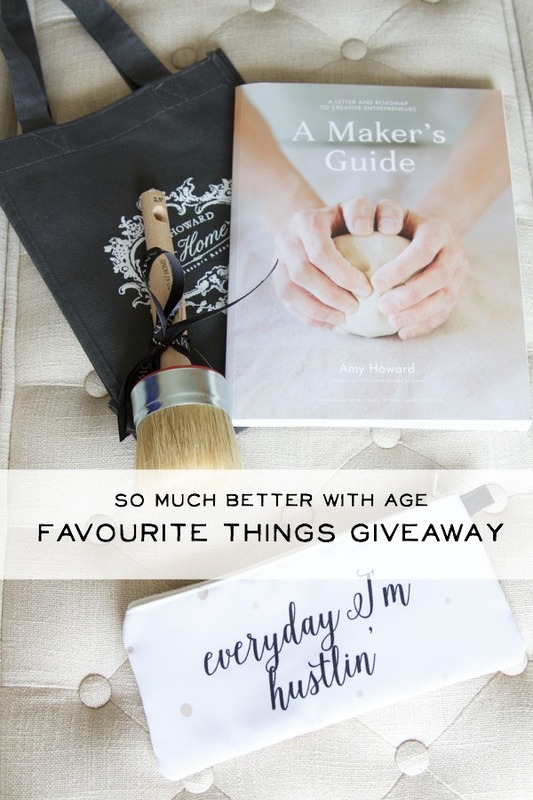 The Amy Howard book and brushes, and the Antropologie goodies. Love the Jenny Lind doll bed for my granddaughter! Awesome giveaway! My favorite thing is the bakeware from Anthropologie – so lovely! The pencil case is absolutely adorable! love that anthro pie tin! i love them all but just ADORE the pencil case….would love to use it for my PenGems! Love the vintage and the Merry Christmas pillow. Trying to transition my home over from very rustic to a more warm traditional home. I love that Anthro wall hanging! I love your style and gift selections! That pencil case is great! I love the log cabin playhouse for my daughter. She would love this. My favorite from the giveaway would be any of the prints from The Sweetest Digs, but my favorite from your list would be Anthropologie bake ware!! Anthropologie’s baking pans and tools is absolutely my favorite!!! Thanks just what I needed…. A longer wish list. 😉 BTW….love you on my bhome app!!!! I love the reindeer pillow! Festive and modern. The baking items are awesome! I’m a professional cake decorator and I’m always looking at new items to add to my stash! Love the blog! And good luck with your move! I know holidays are hectic enough without the added pressure of moving. So try to keep it low key! The You, Me, Oui print is gorgeous! That’s my favorite. From your list, hmmph difficult choice, but I’d go with the brass Champagne cork. The Paris artwork is STUNNING! That and the You, Me, Oui print are my favs. 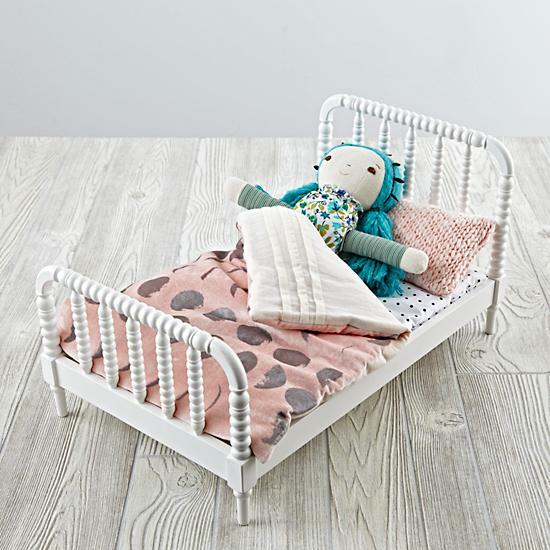 I love the Jenny Lind doll bed from Land of Nod. That is so cute! Everything pictured was so me. That baking set from Antropologie is gorgeous! I love the baking set, because it is on my wishlist for this year. 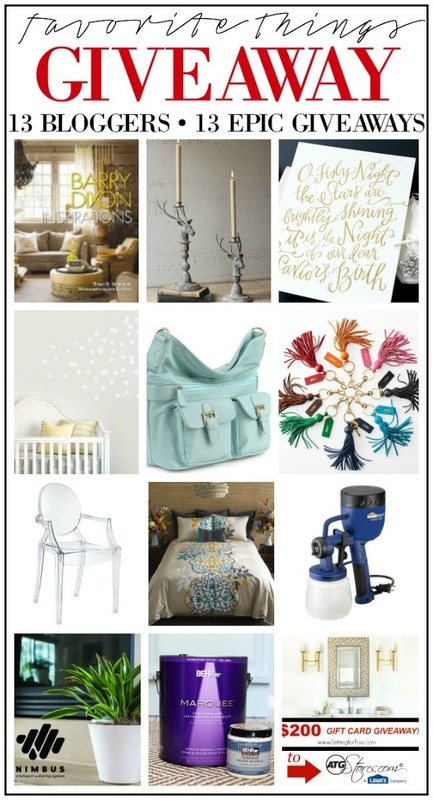 My favorite on the list is the Christmas pillow, but I would be happy to win the prints from The Sweetest Digs. Thanks for the chance to win! Anthro is one of my favorite stores, and the baking dishes and tools are absolutely to die for. So beautiful! I love everything on you list. You have some really original finds. The Anthropologie baking set is really cute. Love that log cabin playhouse…so cute! I like making things it doesn’t really matter so it would have to be the gin making kit. The baking pans and tools from Anthropologie are beautiful! I just finished (literally just finished this afternoon) painting a bedroom set with Amy Howard’s chalk paint in Bauhaus Buff. I love it! It is truly amazing what a can of her paint can do. My first visit, but I’ll be back. And I would really enjoy the Amy Howard stuff. Already have paint. I love the pillow – staying home is the new going out! Love the bakeware from Anthro. Thanks for a chance to win the Amy Howard’s book and prints. Love the blog & love the Sweetest Digs prints!! Happy Holidays!! 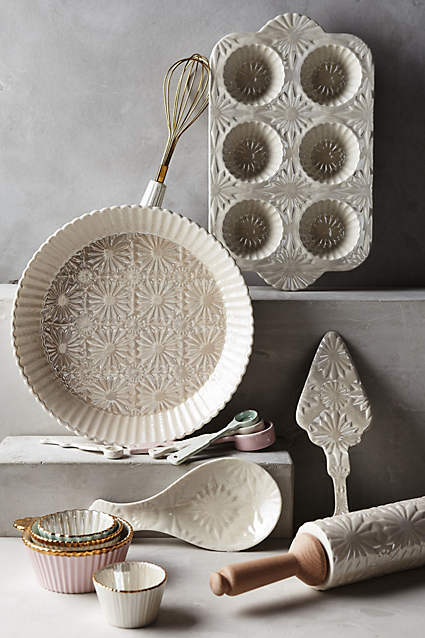 The baking tools and pans from Anthropologie are lovely. I would have some fun with them. That paintbrush would be amazing! but, I could sure use that apron! Love the merry Christmas pillow and tape measure ribbon, so clever! I really like that Paris artwork from Anthropologie. I love the linen apron! I love the kid tent, would be so fun! I’m in love with the Paris artwork – I know exactly where in my house i would put it, too! From your favorite thing picks, I love the burlap bags. Thanks for a great giveaway! I love the things on your list! I like the apron if I choose only one, but that is a real challenge. It all looks great, but i am really really digging that brush! I want to paint something! Love that cushion and the ‘You, Me Oui’ print! I love the tray and the linen apron! I really love the Staying home is the new going out pillow! That is soooo me lately. I have been enjoying the time I spend at home with family. You always have such great taste, so it’s hard to choose…but that measuring tape ribbon is super duper fun! Would love to go gift wrap crazy with it! This is so awesome of all of you. I am really in love with that bake ware from Anthro. It is absolutely beautiful. I also really love that clear acrylic chair- I have been wanting one for ages! My favorite is Amy Howard Book + Paintbrush. I would love the Merry Christmas pillow! LOve the Paris artwork and paint brush. The water bottle from Indigo is my favorite. I love the rolling pin from Anthropologie! And thank you for the giveaway- it is very generous! I love the neutral ornaments from Pi’lo. I love everything you put together! At the moment i am digging the tray and parisian print!TThank you for the giveaway!!! what a great list you put together – you’ve got a great eye! My favorite thing is the baking tools! I love the Paris artwork from Anthropologie. I would love to have Linda Howard’s book and paintbrush, both would be very useful to me. Thanks for the giveaway! I love the Staying Home Is The New Going Out pillow. 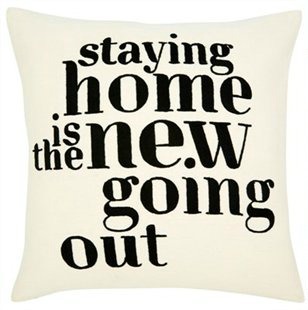 My favorite is the Staying home is the new going out pillow from Indigo! I would love to get the gin making kit for my hubby! 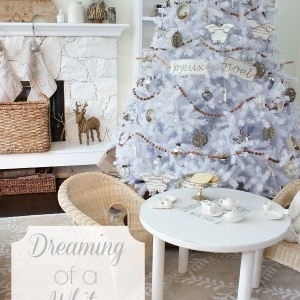 I love the Paris print and the Merry Christmas pillow! Thanks for the giveaway! I love the pillow from Bows and Burlap designs!